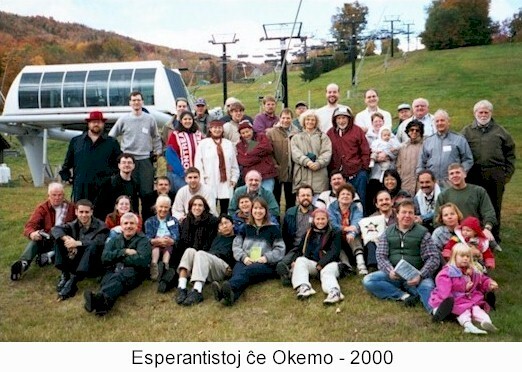 Okemo Esperanto . . . What is it? . . . 6-8 Oktobro 2001 - 31 . . . (de Enrique) . . . . . . . . . . . . . . . . .
What is the "International Weekend Esperantist"? Kio estas la "Internacia Semajnfino Esperantista"? Oktobro dum la lastaj sep jaroj. Location, maps. English captions are before the maps. How to get to Okemo. Loko, mapoj. Esperanto klarigoj estas post la mapoj. Okemo Mountain Resort, Ludlow, VT 05149, Usono. 075 miles North East of Albany, NY. 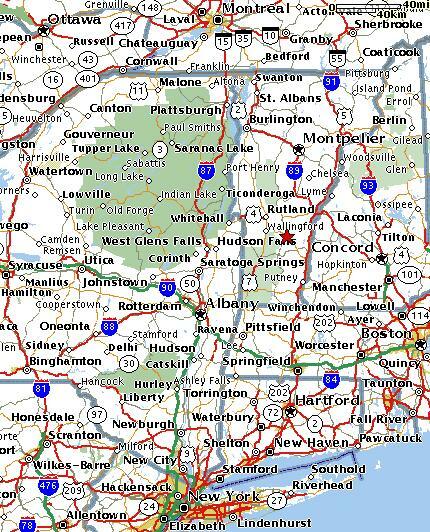 105 miles North West of Boston, MA. 145 miles South South East of Montreal, Canada. 185 miles North North East of New York City. 075 mejloj nord-oriente de Albany, NY. 105 mejloj nord-okcidente de Boston, MA. 145 mejloj sud-sud-oriente de Montreal, Kanado. 185 mejloj nord-nord-oriente de Novjorko urbo. 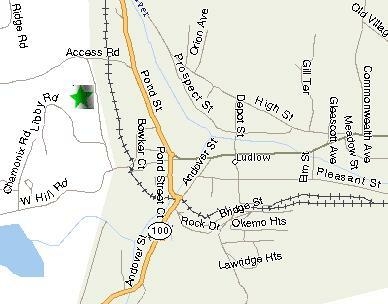 Route 103 is Main Street, East of route 100, in Ludlow. entrance to Okemo. Make a left turn after the railroad bridge.